Ruzbeh Chinoy has managed Ribs and Rumps Sydney Olympic Park now for six months – and it just happens to have been six of the busiest months in the Park since the 2000 Olympic Games. 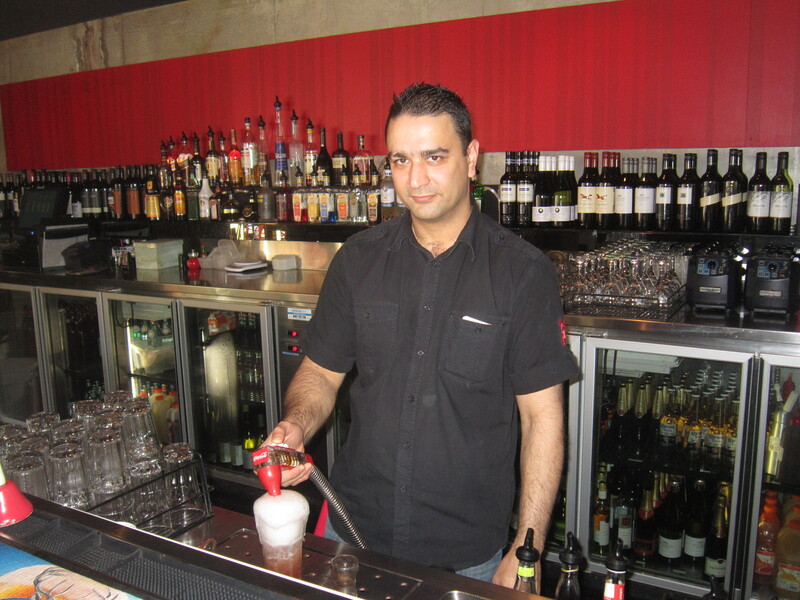 On Grand Final day alone this year, with the help of two One Direction concerts at Allphones Arena and the EB Games at Sydney Showground, Ruzbeh and his team of 46 staff (26 floor staff and around 20 kitchen staff) served a record 780 meals. Given the capacity of the restaurant is 170, this is quite an achievement. The day started at 8am with the arrival of the Manager and at 9am the first two kitchen staff commenced work. By 11.45am there was a full complement of staff in attendance for the day’s briefing and from noon when the meal service began it was all systems go until 11.30pm that night! The normal team of 9 people in the kitchen grows to around 20 on a major event/s day to ensure a smooth operation in serving this many covers. The expanded kitchen team runs like a well-choreographed dance performance with chefs, two teams of grillers (who work on a rotation basis), dishwashers, people who look after the preparation of seafood and the ribs and staff who look after dockets and condiments working efficiently along side each in a confined space. Due to the popularity of combo meals, in additional to steaks and ribs a large volume of seafood is also purchased. In a busy week customers can consume an amazing 240 kgs of chips. Overall the largest selling product is the ‘Original Burger’, a 280g burger made from the finest Australian beef, grilled to perfection and glazed in the Ribs and Rumps signature basting and served with lettuce, tomato, Spanish onion and gherkins. Ribs and Rumps casual staff are predominantly from Newington and Rhodes and they are mostly university students. The restaurant boasts a higher retention rate than the NSW average for their casual staff and puts this down to their training program and looking after their staff. Testimony to the hard work of Ruzbeh and his total team of 59 casual staff and 9 managers was in recently winning the 2013 Auburn City Business Award for ‘Best Restaurant’.